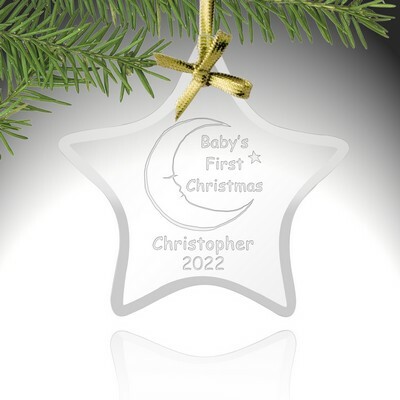 The personalized cross glass ornament is a beautiful religious ornament that celebrates a faith-based Christmas! 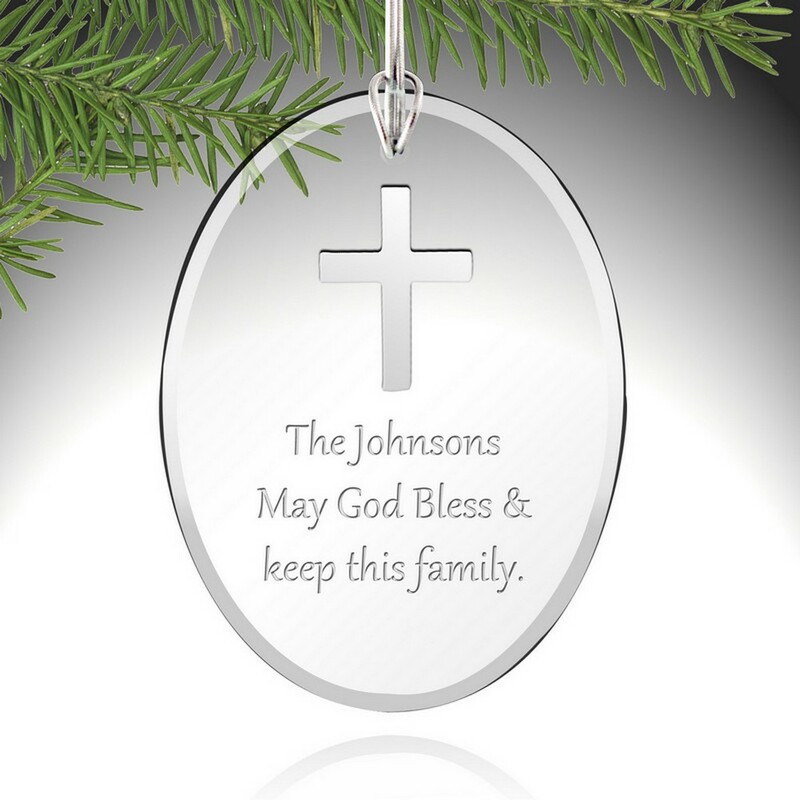 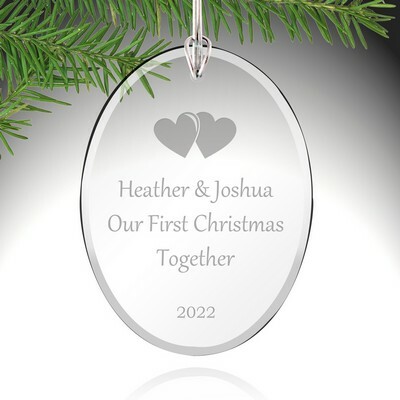 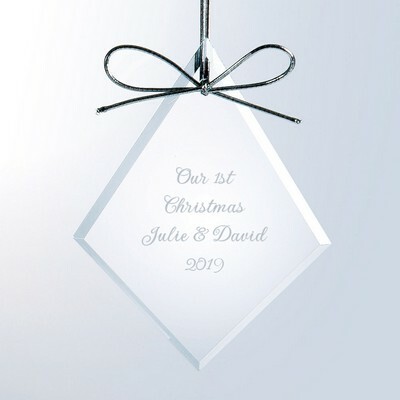 Customize your glass cross ornament with up to four lines of engraving on this 3" x 4" custom Christmas ornament, plenty of space to include a message, name and/or date. 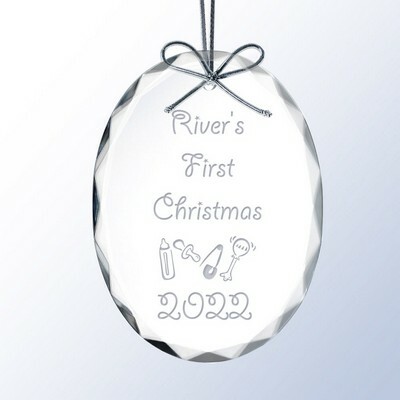 Each silver Christmas ornament is crafted of 3/16" and includes a silver cord, ready for trimming the tree! 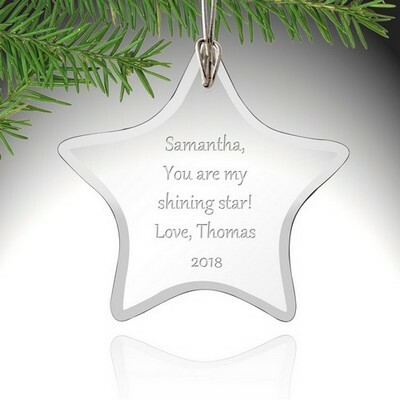 This beautiful personalized ornament is an ideal gift for family, friends, pastor or bible study partners and is a lovely way to celebrate the season. 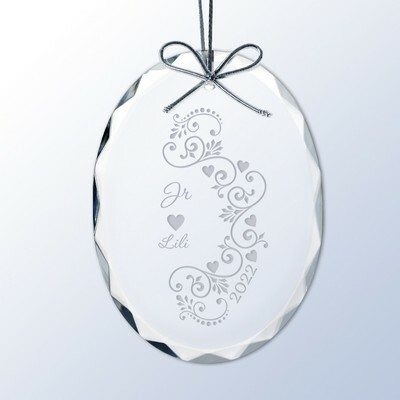 Personalize this gift a special message. 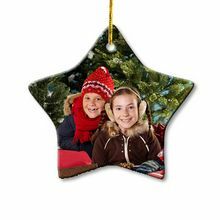 You can earn 20 MG Rewards Points on this product! Comments: Ordered about 20-30 as a gift to people who gave charity to our church. 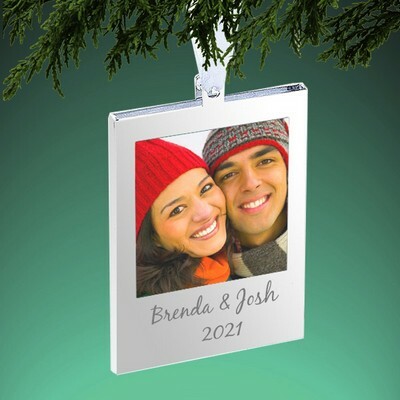 We wanted to give them thanks and show appreciation. 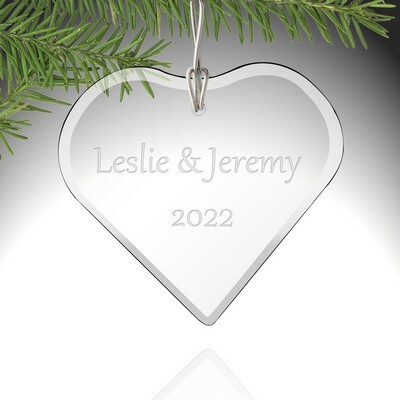 We are very satisfied with our ornaments.